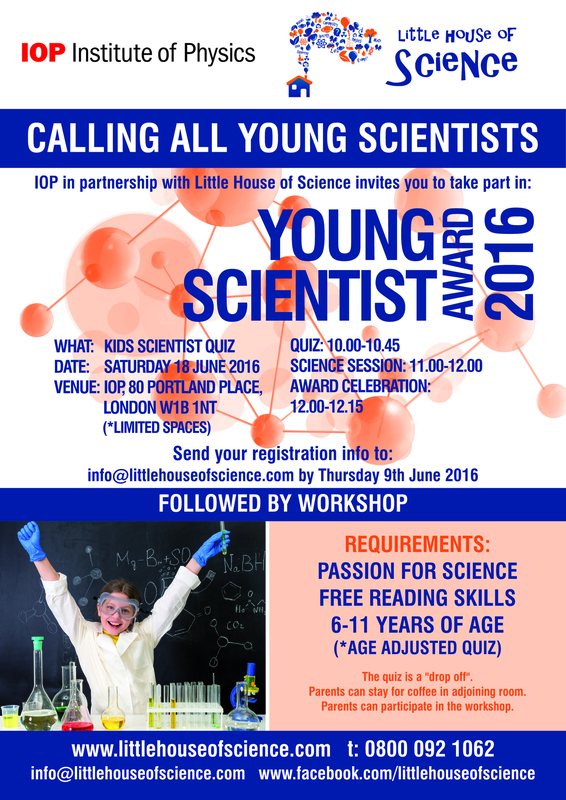 The Institute of Physics (IOP) in partnership with Little House of Science invites you to take part in Young Scientist Award 2016 on Saturday, 18 June 2016 from 10.00-12.00. There will be a age adjusted science quiz for 6-11 year old children, followed by a science demonstration and award ceremony. To join us of this free event, email us at info@littlehouseofscience.com with the full name and age of your child.